An after-hours service on weekends until 7pm in the evening. An operator-assisted, message service available 24 hours a day. Messages are sent via SMS to our dentists’ mobiles and e-mailed to the surgery. We allow time for emergency appointments every day, giving us the flexibility to see patients who have pressing needs without affecting those who have made appointments. You can leave a message at any time, and calls received after 7pm will be returned on the following day by 9am including weekends and public holidays excluding Christmas day, New Year’s day and Good Friday. On these occasions the call will be returned the day after. To achieve excellent outcomes for life we encourage a full examination. Without a proper and thorough knowledge of you, accurate diagnosis and treatment options may be incomplete. Medications – past and present. Preferably in writing from the medical doctor. Allergies and side effects – e.g Penicillin, Aspirin, Codeine, sensitive to adrenaline. Medical issues – Diabetes, Asthma, Liver or Kidney problems, Anaemia including low Iron, Vitamin B12. 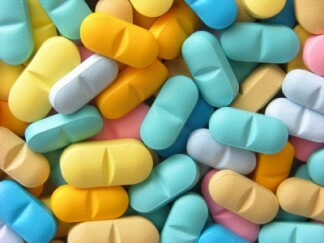 Bleeding problems, Heart , Blood pressure, Thyroid, Sinus problems, Epilepsy, Bone problems, any operations, and so on. Family history – e.g. Diabetes, Haemophilia. Dental history – Extraction problems – e.g. bleeding, difficult removal, healing problems such as Dry Socket. Past orthodontic work, and other dental specialist treatment e,g periodontist. Sensitivity, discoloured teeth, teeth grinding, dry mouth, ulcers. Social and personal history – Smoker, alcohol, gagger, prefer to sit up in the chair, wheelchair bound. Preference for local anaesthetic or sedation. Personal preferences – Tooth coloured fillings, hand scale teeth, evening sessions, Saturday morning appointments, etc. SMS reminder or phone call. HICAPS , eftpos (including AMEX but not Diners) payments. Hicaps – Most health funds are accepted at Seymour Dental and the nurse just needs to put the patient’s number next to the name in our file, this stops any mistakes from occurring when the card is scanned. Many funds also won’t accept a health fund to be claimed after 24 hours. SMS messaging is also available at our surgery. This has had many advantages, when we take the patients details on our computer system we ask the patient if they don’t mind us confirming their appointment through SMS on their mobile. All the patient is required to do is answer back “Yes” and that shows on our appointment book that they are coming. Some people answer “Yep” or write a long reply which unfortunately doesn’t come through on our appointment as confirmed. If in doubt please ring, OR call if unable to make your appointment. Patients also are required whenever possible to give the surgery 24 hour notice, if a cancellation is to take place. We do understand that can’t always be done as people wake up sick. We also follow up on our patients who may have had a difficult visit or to check if they healing well. Visit our extensive website to get weekly updates from our blog, with advice and tips on dental health, and a lot more! Like us on Facebook and follow us on Twitter. Sign up to Seymour Dental’s free email newsletters. Look at our past editions in the newsletter archives. In summary an initial proper examination ideally involves: Examination, 2 bitewing x-rays, scale and clean, and may be tooth brush/diet instructions, which we will expand on next week.